If all the talk of top class tournament action at WSOPE has whetted your appetite for a big win but you’re stuck miles away from London then you could always try your luck in the last few WCOOP events. 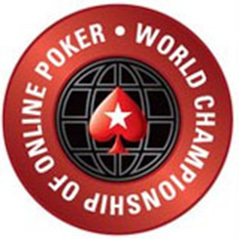 This weekend marks the end of the latest incarnation of the World Series of Online Poker. The series so far has attracted over 40,000 unique players from 140 different countries, raising a whopping prize pool of over $35m. If you haven’t dipped your toe into the waters of the biggest online festival in the world then there are still a few opportunities to be had. The $530 PLO Heads Up Championship and the $2,100 Eight Game Championship start on Saturday and will be followed by the $215 NL Hold Em (with a guaranteed prize pool of $1m), $10,300 High Roller and $5,200 No Limit Hold Em ($10m guaranteed) events on Sunday. Satellites for all the remaining events are still running at PokerStars.